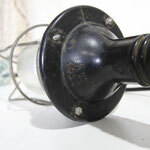 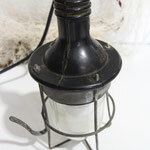 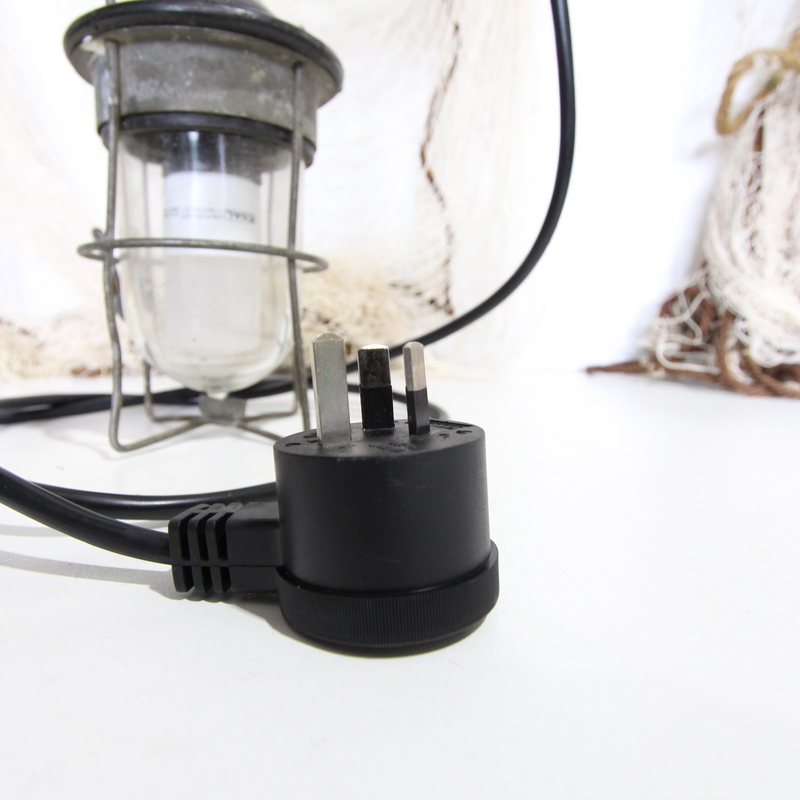 This fabulous rustic old ship's engine room inspection light has been professionally re-wired. 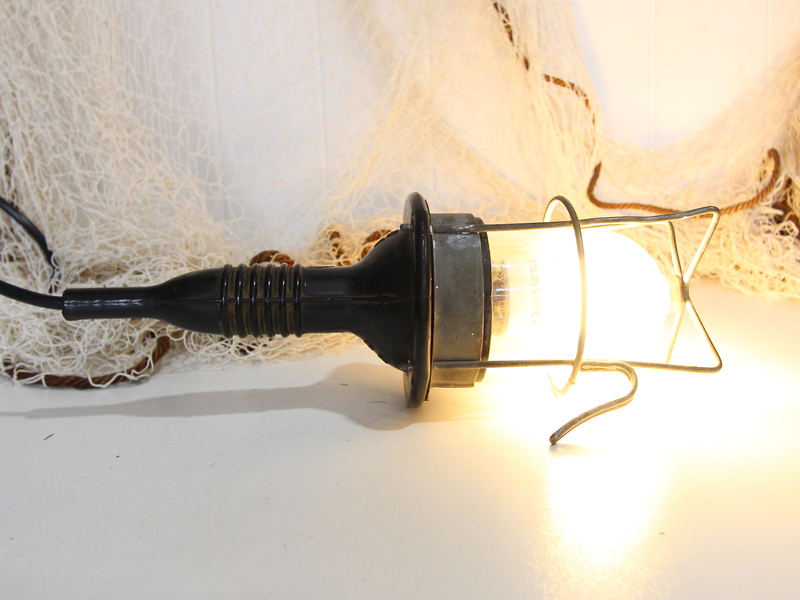 Once used to inspect the engine room for leaks etc, it could now be hung above a side table, on the wall, or above a bed side. 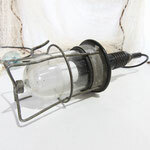 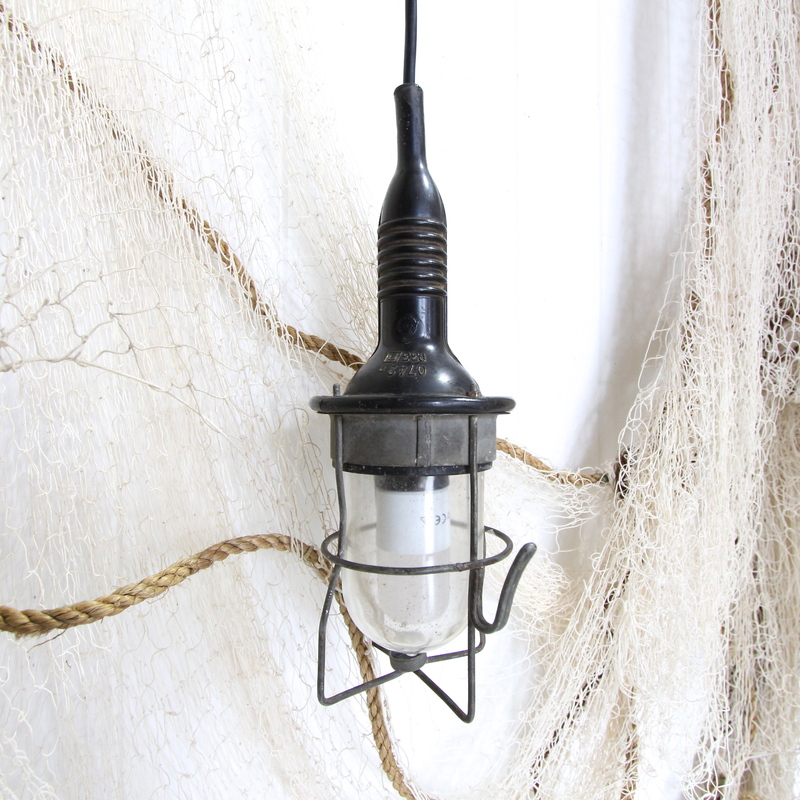 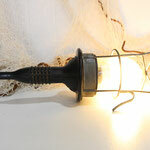 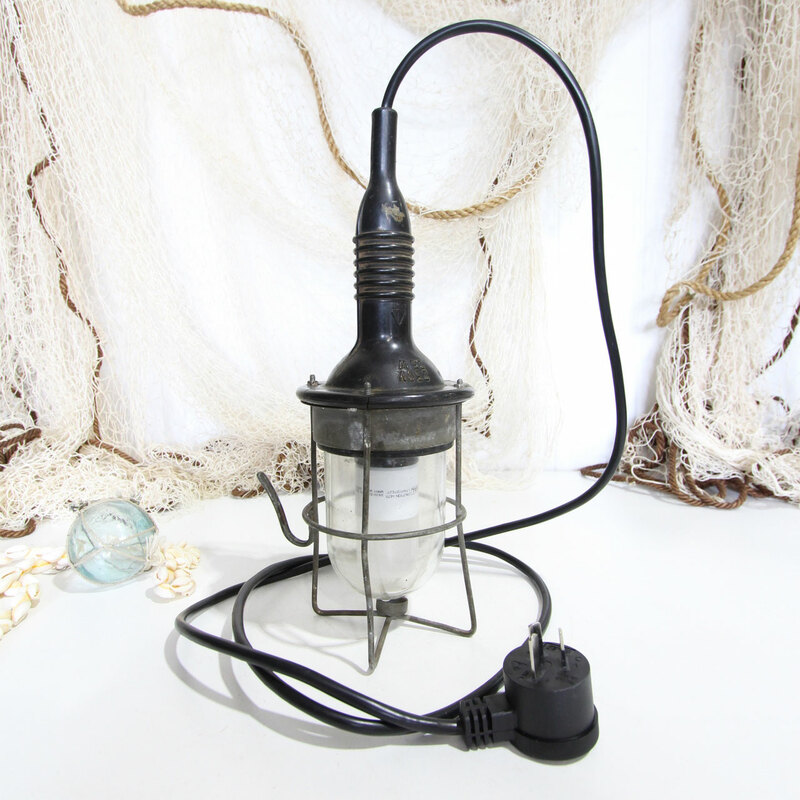 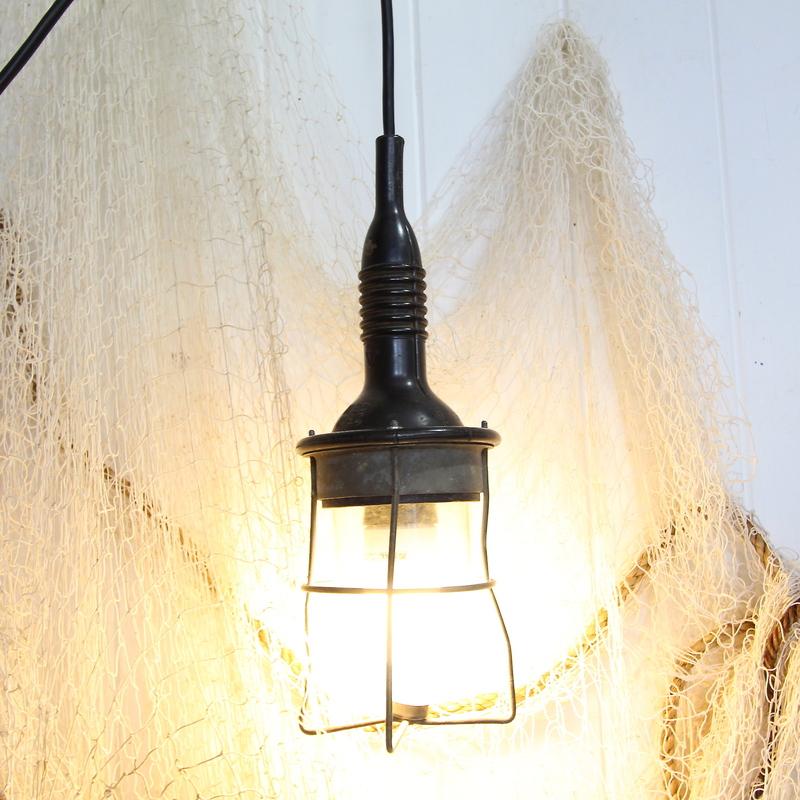 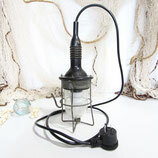 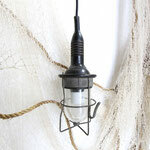 Perfect for a vintage, nautical or industrial space. 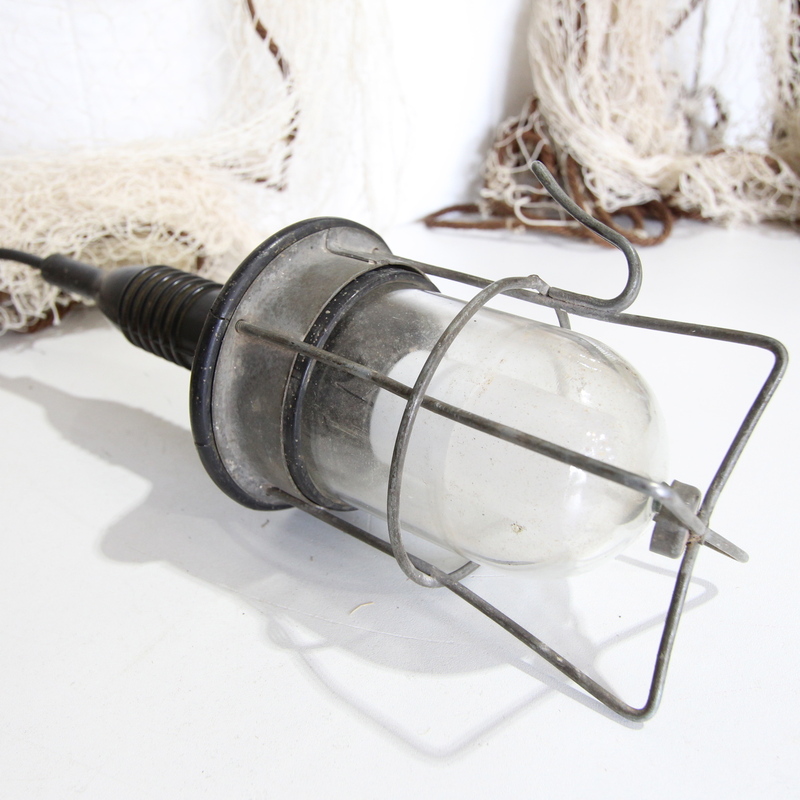 We have another one of these in store that is very similar if you are in need of a pair. 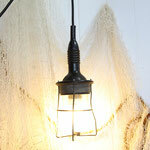 Measures approx: 33cm x 11cm x 11cm. 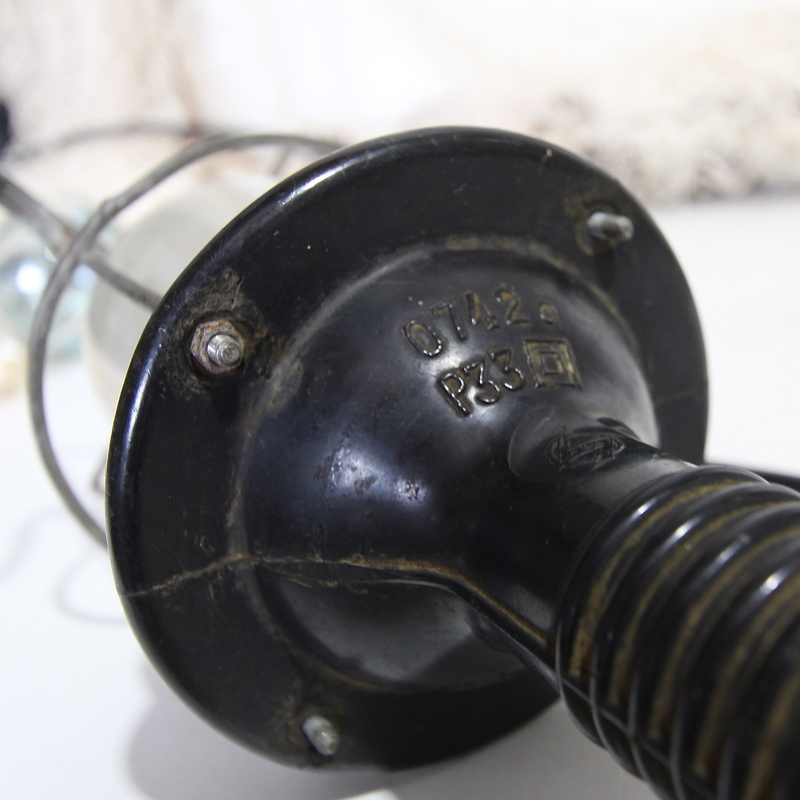 Cord 1.6m long.